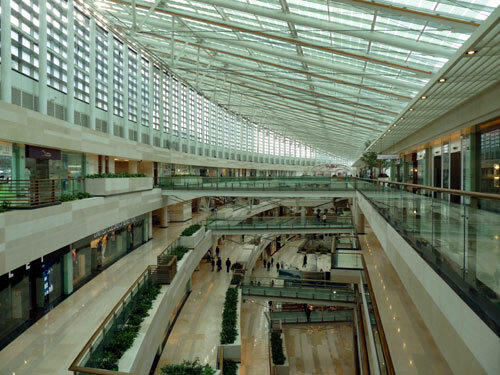 BEIJING, 2 April 2009 (AFP) – Despite the general economic slowdown at the moment, there is good news in China for the luxury industry where, according to a study by McKinsey & Company published on Thursday 2 April, the number of affluent Chinese should almost triple in the next six years. In 2015 the Asian giant will have 4.4 million people classed as “rich”; the number currently stands at 1.6 million urban families whose annual income exceeds 250,000 yuan (€27,600) – the criteria used by the firm to classify families as rich, which takes purchasing power into account. “Global economic conditions will slow down spending, even amongst the rich. But, that doesn’t mean that rich consumers will be any less important,” commented Vinay Dixit, co-author of the report. By these forecasts China will be 4th in the world in terms of rich families, behind the USA, Japan and the UK. “In a quite turbulent market, consumer habits can change very quickly," and luxury business, “can do a lot to shape tastes, buying habits and loyalty of consumers,” added McKinsey. The luxury market in China is a very recent event (55% of those surveyed only started buying luxury items four years ago), and the rich consumers themselves are young: 80% are under 45 compared to 30% in the USA and 19% in Japan. Recent years have seen a rapid evolution elsewhere too. In the last 5 years: sales of fashion products have tripled, luxury car sales multiplied by 5, villas and top of the range apartments by 7 and fine whiskies by 10. Just a few years ago the majority of these purchases were produced abroad; today 60% were manufactured in China. Finally, the geographical distribution of wealth is evolving, even if the majority of the well-off are concentrated in developed areas and the industrial regions to the East and South. McKinsey noted that companies targeting the wealthier classes tended to focus on the richest cities: Shanghai and Beijing, “where the competition is already tough”. “They risk underestimating the importance of smaller cities, there are more rich people in Chengdu (Southwest) than in Detroit, similarly in Wenzhou (East) than in Atlanta”.